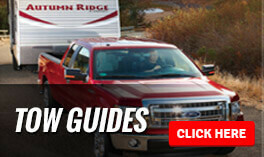 All new RV purchases include factory freight, dealer prep., and walk through orientation. OUR PRICING POLICY IS SIMPLE. THE PRICE YOU SEE IS THE PRICE YOU PAY. This means that the sales price for the RV’s listed on our site include dealer prep, complete walk-through orientation of your camper and factory freight. Prices do not include your local sales tax, license fee, documentary fee ($75) and state inspection as many of these amounts vary from camper to camper. BE CAREFUL YOU COULD PAY THOUSANDS MORE AT OTHER DEALERS. It’s important that you know that this cannot be said for most of our competitors. In the fine print on many competing dealer websites, disclosures are made to the affect that they charge you for some or all of the following: factory freight, prep charges, walk-through and something called a “dealer fee”. You could pay many thousands more than the price these dealers post.